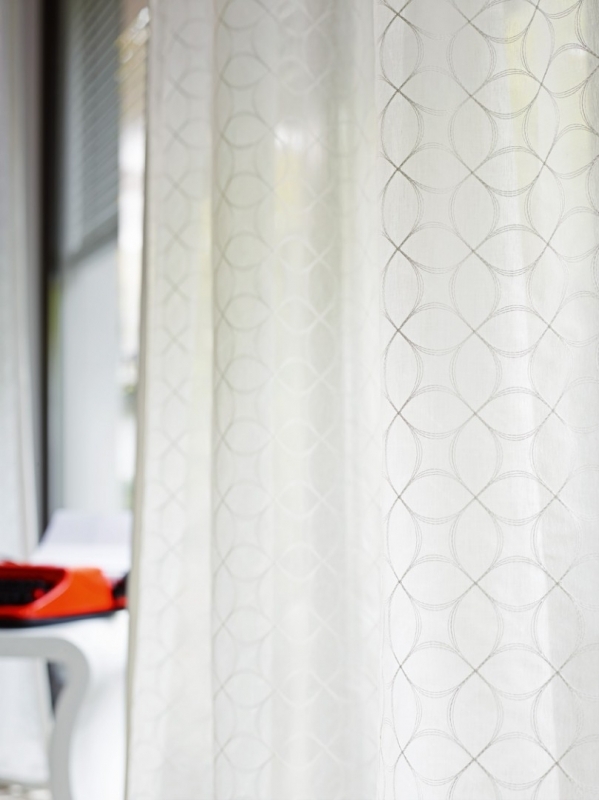 ADO sheers are lively and vibrant, adding a fresh look to any home. 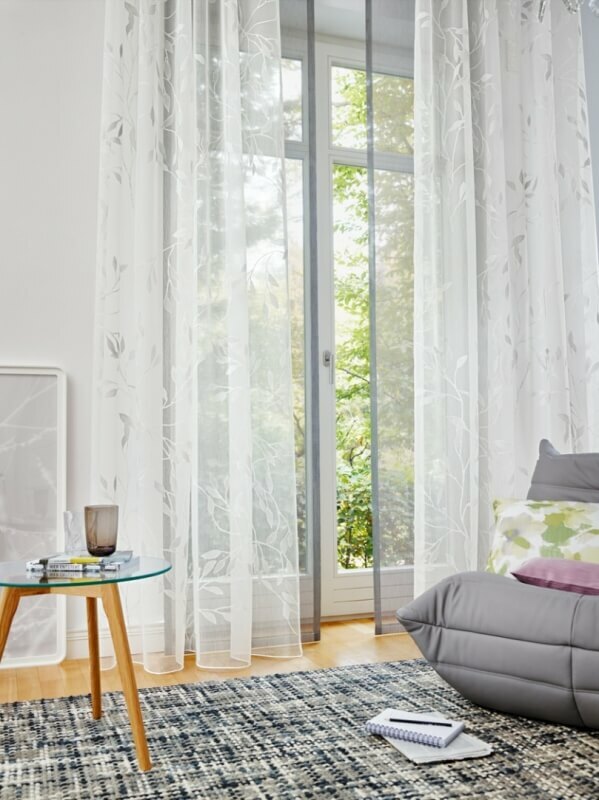 This globally-recognized brand offers a wide, versatile range of colors and patterns to create the perfect window sheers for you home. Their curated collections offer specially-selected fabrics to accentuate your design style and fit your lifestyle. 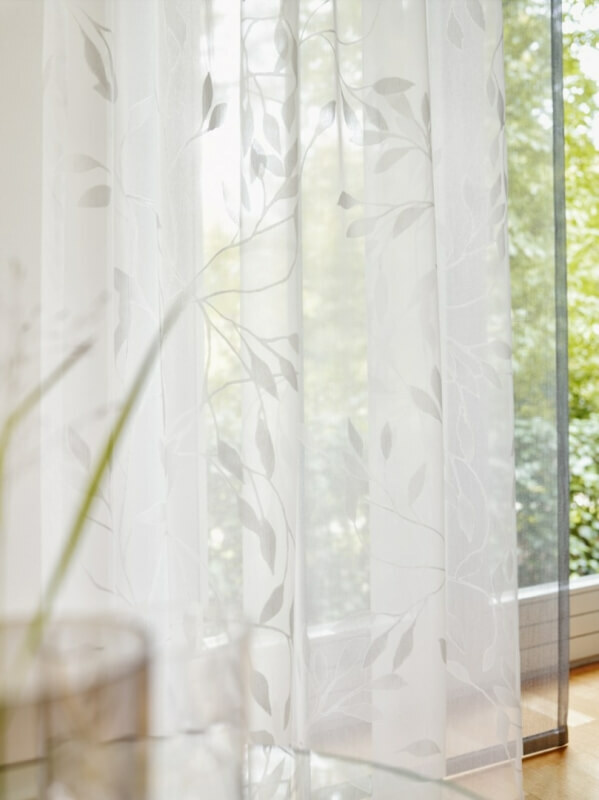 Enjoy beautiful sheer window treatments with minimal effort. 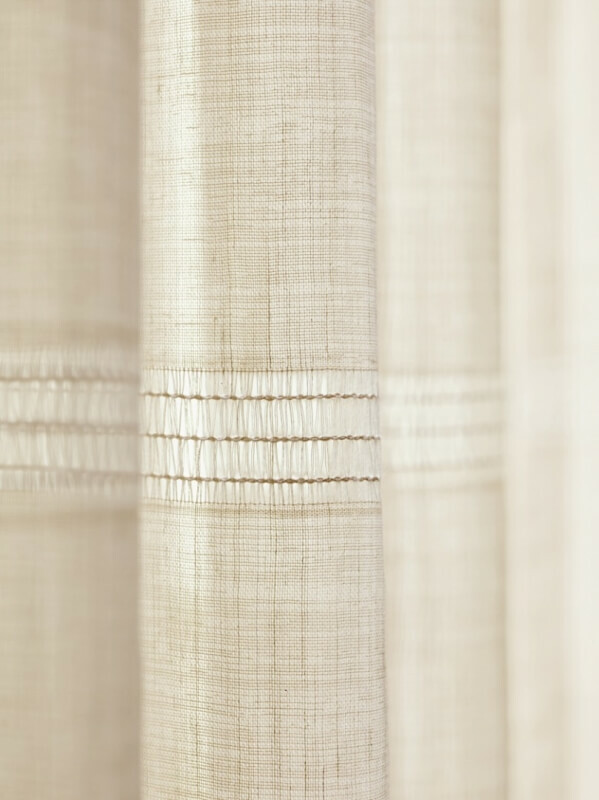 These sheers offer a high level of functionality and quality. ADO sheers are low-maintenance and remain looking beautiful for years to come. They are dimensionally stable and retain their brightness, color intensity and softness, even when exposed to strong sunlight. Most importantly, ADO sheers are machine washable, hang up wet. They are perfect for clients with allergies and health concerns because you can clean them frequently with ease. Bringing lightness, harmony and pure vitality – our products are all about a fresh, natural look and lively designs. Premium quality – since 1954. Waterfall ADO sheers create a dramatic statement in this Great Room in a Chicago suburb. These two-story windows, featuring ADO’s burn out sheers, look out across a vast lawn. The window sheers are pulled back on holdbacks to allow access to the patio from the sliding doors. Thanks to the ADO sheers, the room truly comes together. The window treatments are accentuated by custom window seat cushions and pillows on either side of the fireplace. Facing the fireplace are a pair of swivel chairs recovered in a fabric to coordinate with two new Swaim sofas. The sofas feature contrast welt and pillows. This room was designed for daily use as well as entertaining. 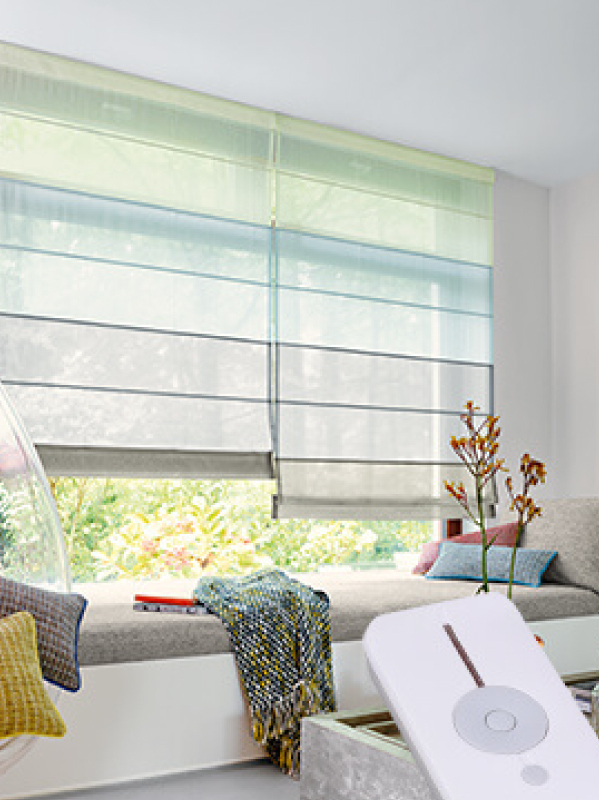 The fabrics selected for this room all have a high durability rating, allowing for this dual purpose.